All maintained schools and academies are required to comply with data protection requirements and statutory guidance on the retention of records. Schools and colleges must have regard to it when carrying out their duties to safeguard and promote the welfare of children. The purpose is to make explicit a process for providing safeguarding supervision to staff within educational settings including teachers, teacher’s assistants, pastoral staff and child protection coordinators. While the internet is a great resource, it is important that children and young people are protected from the risks they may come across. The UKCCIS is a group of more than 200 organisations that work in partnership to help keep children safe online. If you fit into one of the categories above you are private fostering and ‘The Children (Private Arrangements for Fostering) Regulations 2005’ state that you MUST inform us of any such arrangement. The carer is not a close relative and/of does not have parental responsibility from the Court. She/he has been placed with approved foster carers of adopters by a local council. If the child is placed by the local council. Who else needs to tell us? The other parent or anyone else who has been given parental responsibility by the Court, who knows about the arrangement. When do you need to tell the council? if the child is already with you immediately. check that accommodation is safe and suitable. A social worker will be asked to visit regularly to see the child and try to make sure that the carer receives any necessary help. They will also keep in touch with the parents to offer help and advice. This is because the child’s parents continue to be responsible for them. We can also help the parent and carer make clear arrangements for decisions about things like medical treatment, education and contact with family members. When you have been in touch with us, then a social worker will contact you to explain what needs to happen and arrange a visit. If you would like any further information please access the private fostering leaflet or contact the Children’s Assessment and Safeguarding Service using the contact details provided. You can also access the Children Living Away from Home with Other Families procedure for further guidence. When a range of professionals and agencies are undertaking assessments and providing services for people, there will inevitably be times when perspectives differ and conflicts of opinion or views give rise to challenge and or disagreement. This is particularly likely to occur when assessing need and risk and making decisions about the best ways forward to achieve the best or safest outcome for individuals. Occasionally there will also be conflict over who is best placed to provide interventions and how to make the best use of resources available to achieve the desired outcomes. 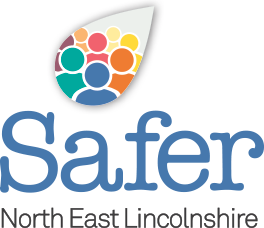 North East Lincolnshire aspires to be a place in which healthy and constructive challenge is seen as a positive not a threat; where we learn from one another and respect others views and opinions; and where we always strive to resolve differences in the best interest of the people we serve. For more information please view the LSCB and SAB Escalation Procedure or the recording template for the escalation process. A recent campaign has been launched which is aimed at making children and young people aware of what to do in the event of a knife or gun attack – view out prevent page for more information.